Is there a better alternative to Lighting Bulb Manager? 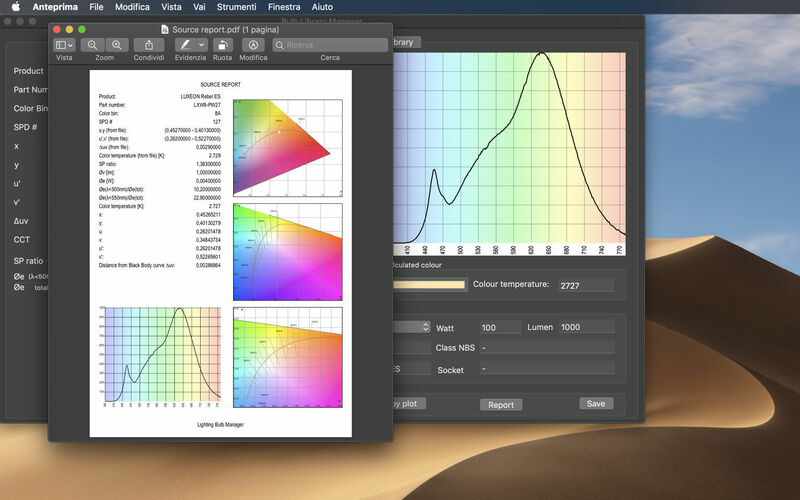 Is Lighting Bulb Manager really the best app in Designs and Graphics category? 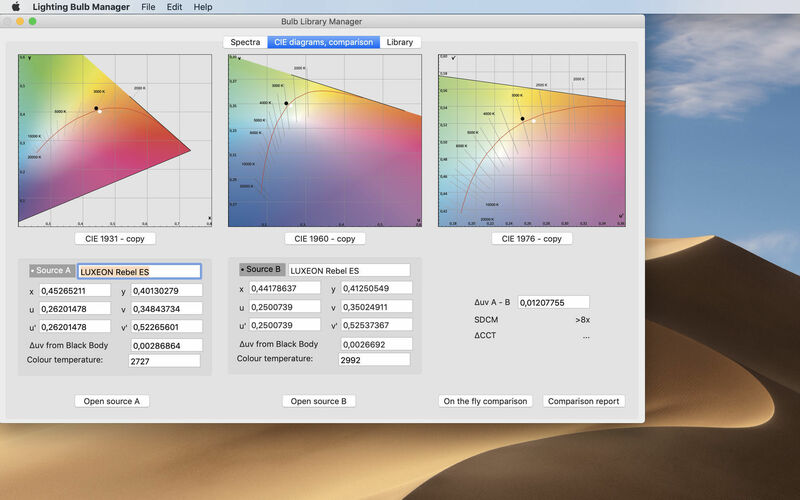 Will Lighting Bulb Manager work good on macOS 10.13.4? 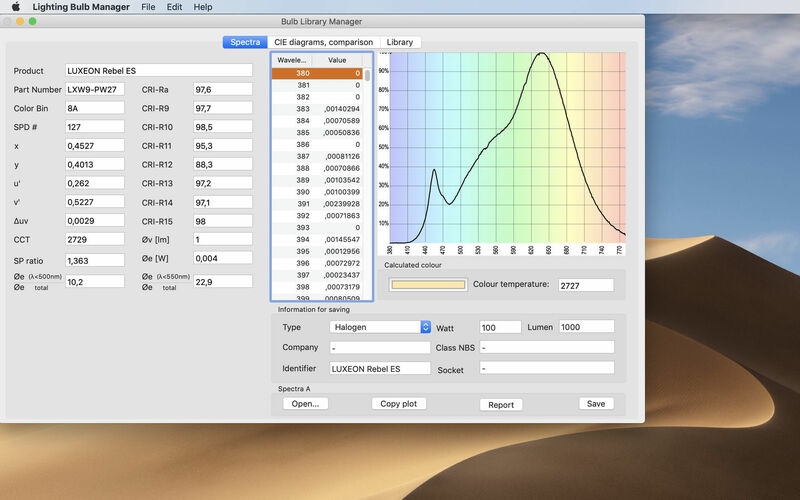 Lighting Bulb Manager is a native macOS CAD application specialized to examine lighting sources spectral data. With Lighting Bulb Manager you don’t need to be a specialist. Import the source and in few seconds you’ll be able to prepare and export a professional and complete lighting report. Examine spectral data saved in XML according to IES TM-27-14 or CVS format. Graphics of spectra, CIE 1931, CIE 1960 and CIE 1976 colour space. 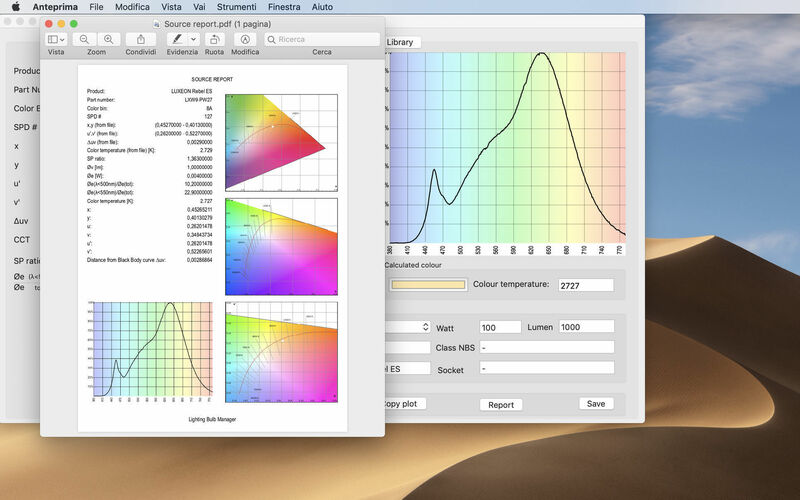 Compare two lighting sources spectra and calculate their 'colour distance'. Lighting Bulb Manager needs a review. Be the first to review this app and get the discussion started! Lighting Bulb Manager needs a rating. Be the first to rate this app and get the discussion started! You can choose the best source to maximize the colour rendering on Your subjects. Is possible to copy and paste to other applications all graphics. You can obtain a printable report of your source and of Your sources comparison. Imports third part light sources IES TM-27-14 (American standards), CVS. Can export to PDF a complete report of the source and of the comparison. All graphics can be copied to be exported to other applications. Works in (x, y), (u, v) and (u', v') colour space. 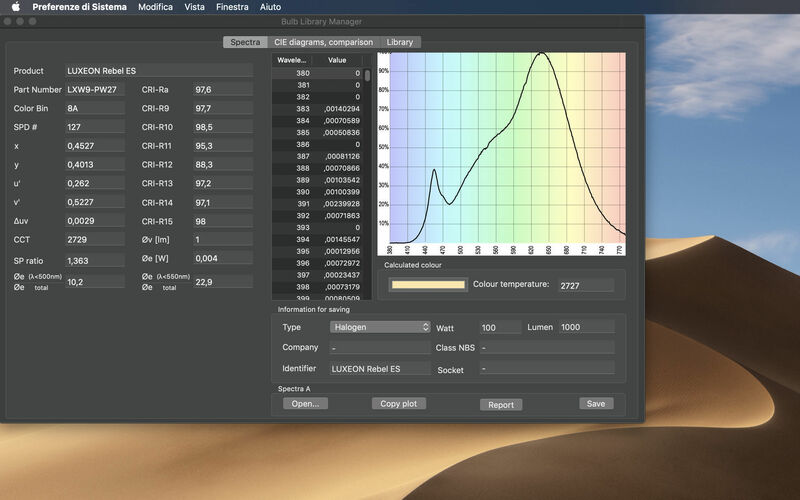 Calculate colour distance from the black body, equivalent colour temperature.